Charlie Walker is a hard-working guy with a lot of responsibilities. But when he is washed overboard in a storm and washes up in the Bahamas, he realizes he hates his old life and disappears to a new life as a hotel manager with pretty, young Liz Moore. 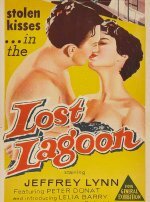 As they fall in love and the hotel becomes successful, life seems idyllic until the past intrudes.